"..In Photo: ArthaLand Century Pacific Tower 's (ACPT) innovative exterior design is the perfect marriage of landmark sustainability. 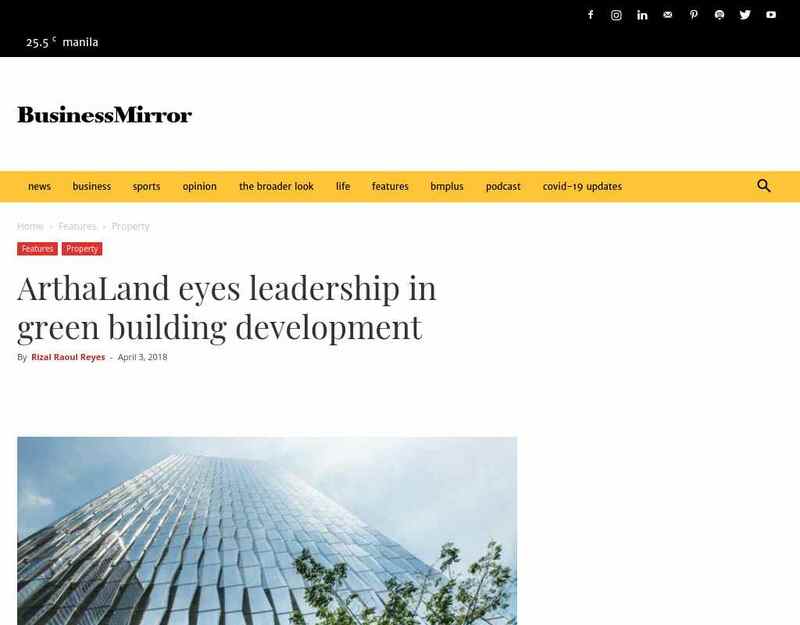 WHEN the ArthaLand Century Pacific Tower (ACPT) was inaugurated on March 22, the boutique developer wanted to show that ..."
".."It starts with the façade of the building, which gives importance to light," he said. Po said the business center is going to be positioned as the central hub of ACPT where guests, tenants and occupants can gather to exchange ideas: occupants such as ..."
"..By applying for the US Green Building Council's LEED [Leadership in Energy and Environmental Design] and Philippine Green Building Council's Berde [Building for Ecologically Responsive Design Excellence] certification, we believe that having both ..."
"..... [Leadership in Energy and Environmental Design] and Philippine Green Building Council's Berde [Building for Ecologically Responsive Design Excellence] certification, we believe that having both standards adhere not only to the local but global ..."